I am so ready for Winter to be over! What about ya'll? I am so eager for the first signs of Spring. In the Atlanta area, one of the very first signs of Spring is the gorgeous bloom of the Cherry Blossoms. I am lucky enough to have a huge Cherry Blossom tree in my back yard. I am so eager to see those blooms that announce Spring's arrival! 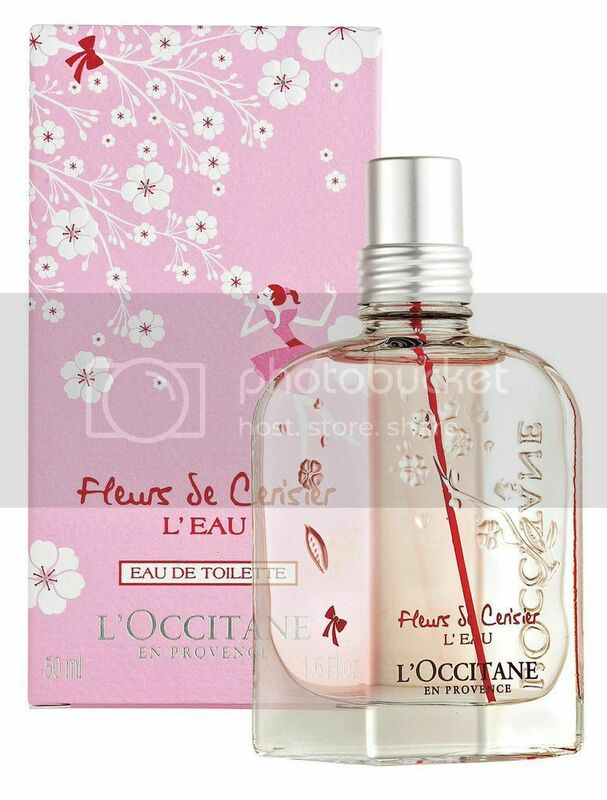 So, what better scent for me to switch to than L'Occitane's NEW Cherry Blossom-inspired scent: Fleurs de Cerisier! For me, fragrance is totally seasonal. There are just certain scents, both personal fragrance as well as home fragrance, that I want to smell during certain seasons. In the Winter, I am all about deep woodsy aromas and sweet foodie vanilla-like scents. In the Spring and Summer, I like to go much lighter with my scents while mixing in more florals and citrus. Spring is here! Bright sunshine illuminates the orchids of the Luberon Mountain region u veiling the very first cherry blossoms of the season. From these white flowers with a touch of pink, comes a scent of frivolity-fresh and subtle-revealing an innocent and delicate fragrance. Subdued yet sharp, L'OCCITANE's 2015 limited edition Fluers de Cerisier L'Eau collection will whisk you away in a whirlwind of fruity, floral notes. Head: Lemon prevails over blackcurrant and watermelon. Heart: Light cherry blossoms swirl into delicate violet and rose. Base: A subtle hint of a dewy, enchanted forest settles. 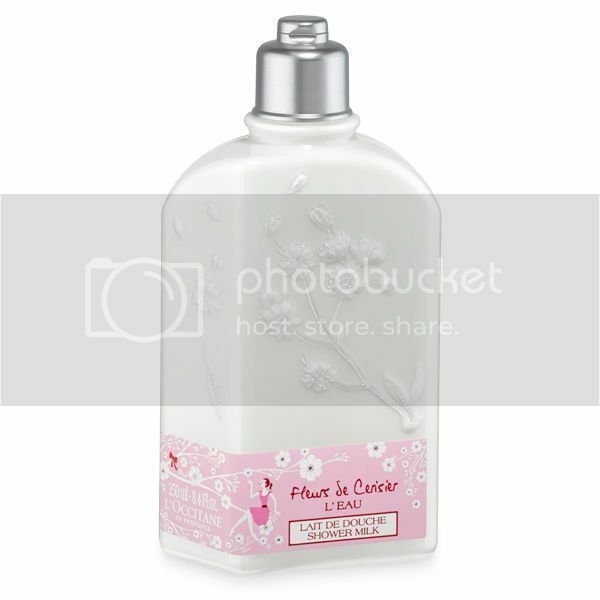 Eau de Toilette: ($45): A luxurious and youthful twist on our beloved cherry blossom scent. 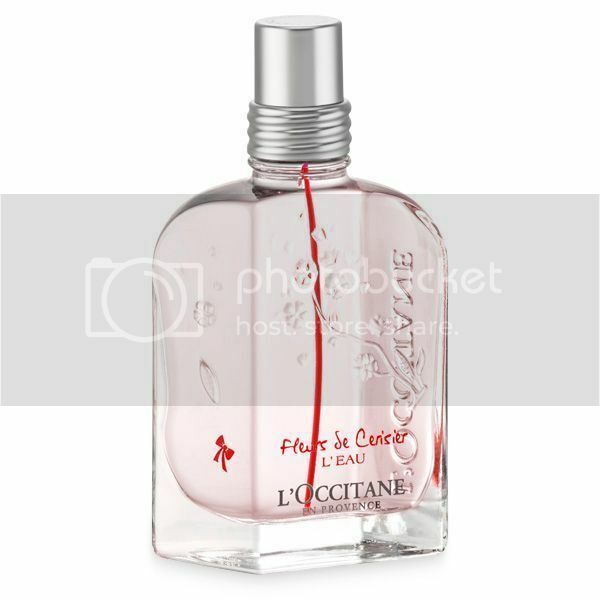 This fragrance will envelop you in notes of blackcurrent, watermelon, cherry and rose. This scent really is lovely and perfect for Spring! The lightness and freshness is a welcome scent change after my heavier fragrances from Winter. There is something so feminine and soft about this scent. It makes me want to wear pretty sundresses and big sunglasses. Fragrance Touch: ($22): Dabbed onto pulse points, this gel texture melts onto the spring and reveals springtime notes. A new beauty ritual for perfumed touch ups at any time of day. What a unique way to wear scent! Rather than your typical roller-ball for touch ups, this is a gel fragrance packaged in a tube reminiscent of a lipgloss! You just squeeze out a little bit of this gel and dab it on. Moisturizing Milk: ($25): The rich silky texture of this moisturizer melts over the body, enveloping it in delicately perfumed hydration. I really enjoy the light feel of this moisturizer. It is the perfect way to layer your fragrance! Hand Cream: ($12): Enriched with shea butter, this formula helps nourish and protect hands with light fruity notes and a bouquet of tenderness. L'Occitane's shea hand creams are amazeballs!!! This scent is no exception. They are so super moisturizing and another great way to layer your scent. If you have never tried L'Occitane's shea hand creams, I highly recommend them (in any scent!). Oh gosh, I have to go smell me some of this. I love L'occitane's fragrances! This sounds like a perfect Spring scent. 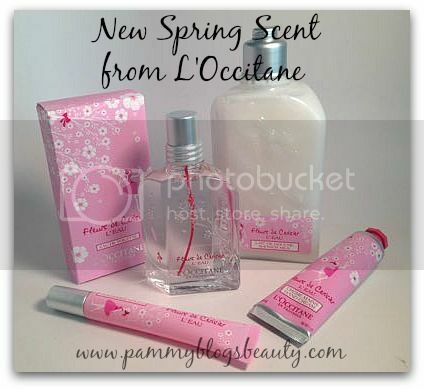 I love Cherry Blossoms, and L'Occitane is always a hit!